The conflict in Ukraine is only a part of the energy war between Russia and United States. Europe is very poor in terms of energy resources, but very rich in all other aspects. Both U.S.A. and Russia want to dominate the European energy market, since this does not only involve economic gains, but aslo increased diplomatic power. Energy is very important for all developed economies, and energy providers normally have political power over energy recipients. Russia is the richest country in natural gas reserves and the number one oil producer. It is not however the richest country in oil reserves. Please note that the richest countries in energy reserves are not necessarily the largest energy producers too. At the following Wikipedia link you can see Gazprom’s European market shares. Gazprom is the Russian state owned natural gas giant, and on average it holds 30% of the European natural gas market. Moreover Russia supplies a large part of the oil consumed by European countries. This energy dominance is a big pain for United States, since it gives Russia political power over NATO members. Therefore the Americans wish to provide Europe with alternative sources of energy, and more specifically with alternative sources of natural gas, since natural gas is most of the time delivered through pipelines, and it creates a greater dependency on the part of the energy recipient than oil, which is normally transferred with ships. Most of Gazprom’s natural gas, approximately 80% of it, is distributed to Europe through Ukraine. At the following link you can read about the disputes between Russia and Ukraine over natural gas distribution. That’s the reason the Americans are so keen to help anti- Russian and NATO friendly Ukrainians. The Russians on the other hand do not like this dependency on Ukraine, and have developed the North Stream pipeline which delivers Gazprom’s natural gas directly to Germany through the Baltic Sea, thus bypassing Ukraine. You can see at the following BBC map the North Stream pipeline with Green color. Russia wants to also develop another pipeline, the South Stream, which you can see with the blue color on the map, which will again bypass Ukraine and will deliver Gazprom’s natural gas to Southern Europe. When both these pipelines will be ready, the Russians will not depend anymore on Ukraine to supply the whole Europe with Russian natural gas. 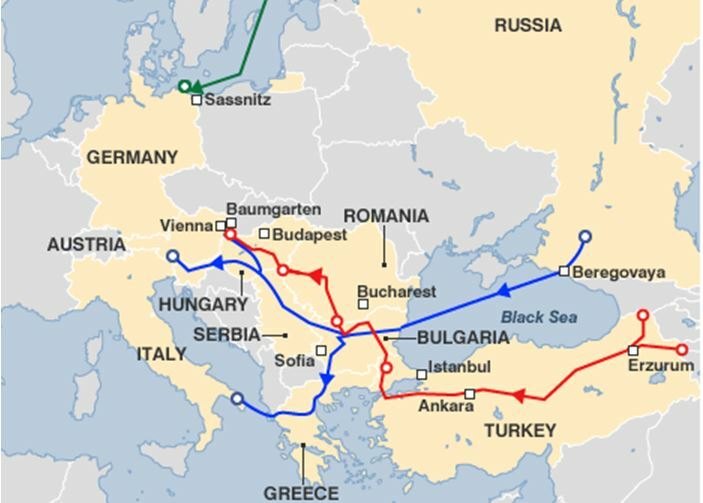 As you can see the South Stream will cross the Black Sea, and from Bulgaria will distribute natural gas to Southern Europe. 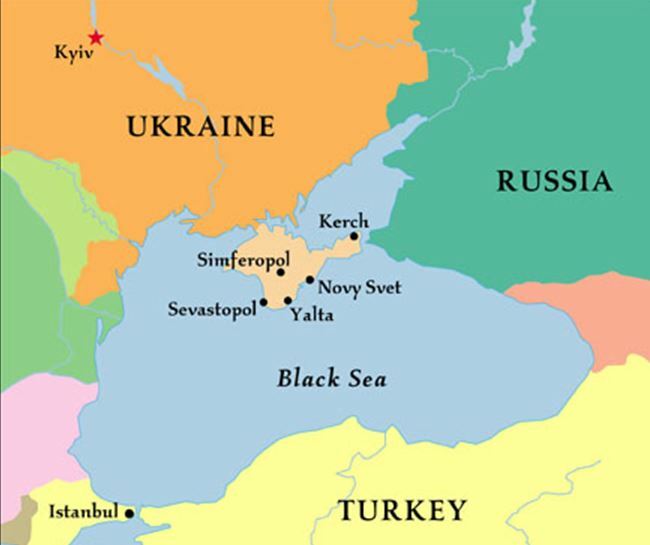 As you can see, if Ukraine controls Crimea, Ukraine would have a saying on the South Stream crossing the Black Sea, since it would fall inside Ukraine’s exclusive economic zone. But if Crimea belongs to Russia, Ukraine does not have a saying on the construction of the pipeline. And Russia annexed Crimea as we all know. And as you can see on map 3, from whowhatwhy.com, which is accurate, the Russians designed the pipeline nearer Turkey to totally avoid Ukraine. some countries perceive it as a positive development i.e. Germany, Italy, Bulgaria. The important point to note is that once the South Stream is ready, together with the North Stream, will allow Gazprom to supply with natural gas the whole European Continent without relying on the Ukrainian pipelines. Moreover, as you can see on the following Wikipedia link, Ukraine is the 26th richest country in the world in terms of natural gas reserves, which further adds to its geostrategic position. As I already said, the Americans and the Europeans want to have many sources of natural gas, in order to limit the economic but mainly the diplomatic influence that Russia enjoys over NATO members, and which arises by the 30% of Gazprom’s share in the European market. It also has to do with competition issues. The more energy options a country has the cheaper it buys its energy. The Americans and the Europeans want to bring natural gas from the energy rich Caspian Sea to Europe. The Nabucco Pipeline and the Pans Adriatic Pipeline are two of the possible routes. The Nabucco pipeline which you can see with red color on map 1 will bring Caspian natural gas to Europe through Turkey. The other possible pipeline, the Trans Adriatic Pipeline TAP, which you can see on map 4 below, will again bring natural gas from Caspian Sea to Europe through Turkey. Iran’s is also very important for the Americans and the Europeans. 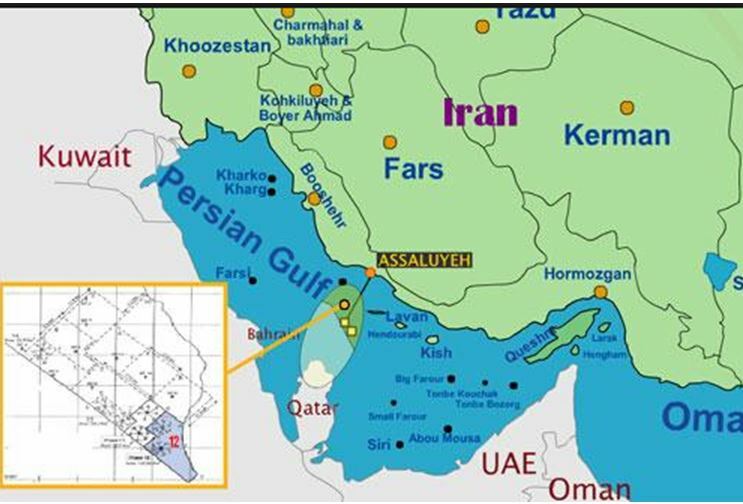 Iran is situated on the Caspian Sea and it will be very difficult for the Americans to ensure stable natural gas supply to Europe if they face a hostile Iran. Moreover Iran is a very energy rich country, one of the richest ones in fact, and its natural gas could be transferred to Europe too. 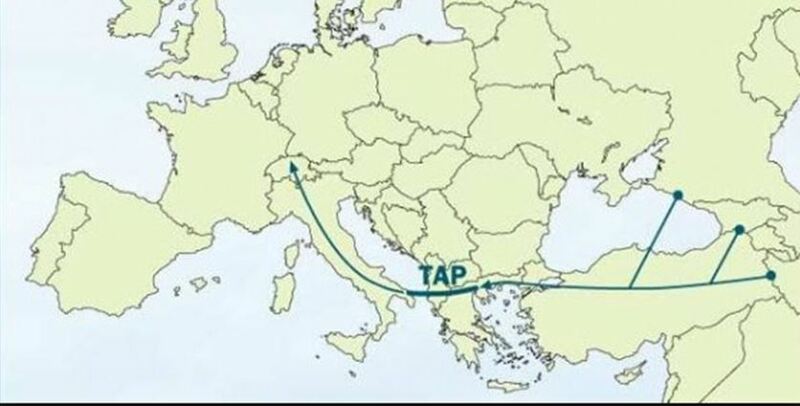 The Nabucco and TAP pipelines are supposed to transfer natural gas from NATO friendly Azerbaijan, but other countries can be connected on the pipeline network too. Therefore both Iran and Turkey are extremely important for the American and European efforts to provide Europe with abundant non Russian natural gas. 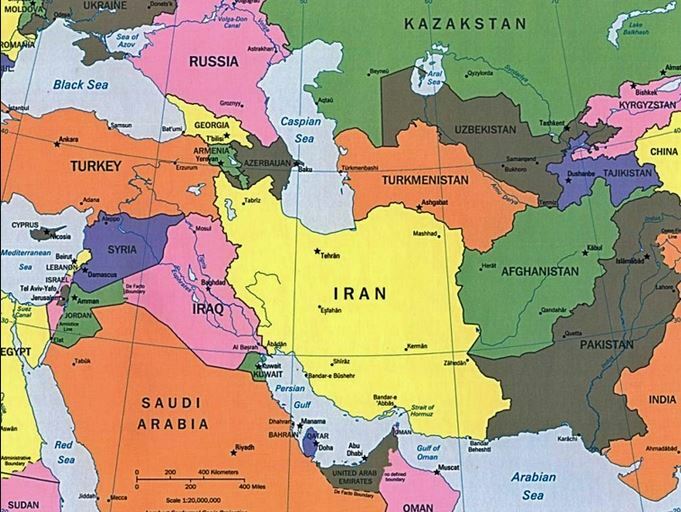 The increase in Turkey’s and Iran’s geopolitical power poses a lethal threat to Israel. You have to keep in mind that Turkey and Iran are two of Israel’s lethal enemies. Iran’s goal is to eliminate Israel, and Turkey, an ex Israel ally, does not seem to be further away from this view, under the leadership of Recep Erdogan. Actually everybody knows that it is mainly Iran, Turkey and Qatar that support and provide funding to Hamas, which is recognized by U.S.A., the E.E., Japan and other countries as a terrorist organization. Hamas runs the Gaza Strip, and came to power with elections in Gaza. It is Hamas that fires all these rockets that you hear about from Gaza to Israel. At the following article you can read about the funding of Hamas. The problem is that it is very difficult and very costly to build a pipeline network through the Mediterranean See, if Turkey is involved in the project. But with the current political situation between Turkey and Israel this does not seem to be feasible, at least not for Israel’s part of energy. The natural gas found in the Israeli sea, might be the only chip that Israel has in this energy hungry world. It seems that Israel is giving Russia a role in its energy wealth. At the following Bloomberg link you can see the cooperation between Gazprom and the Israelis. It seems that in a world where Israelis cannot count on the protection of the Americans, they are moving towards Russia. They are not connected to Russia in the same way they were connected to the U.S.A., but it seems they are somewhere between these two countries. At the following Financial Times link, you can see that Israel did not vote against Russia in the U.N. resolution about Ukraine. It rather preferred to abstain. “But the strongest motivation for Israel to stay out of the Ukraine fracas lies in the present day and closer to home: Russia is a strong and growing power in the Middle East. Israel needs to engage Moscow on several vital issues: Iran’s nuclear programme and the dismantlement of Syria’s chemical weapons stockpile. Moscow is the biggest foreign patron of Bashar al-Assad’s Syria and a major supplier of arms to the Middle East in general. Moreover as you can see at the following Wikipedia link, Avigdor Lieberman, the Israeli Foreign Affairs Minister, is a Russian Jew. He was born in Russia, served in the Russian Army, and later immigrated to Israel with his family. It is “strange” that the Israelis chose a Russian soldier as their Minister of Foreign Affairs. For Israel there is another big problem, namely the pipelines that will transfer natural gas from the Persian Gulf to European markets, and more specifically the pipelines that will transfer natural gas from the Persian Gulf’s South Pars/North Dome field. South Pars/North Dome is the richest natural gas filed in the world and it lies between Qatar and Iran. It is jointly owned by Qatar and Iran. You can see it on map 7. 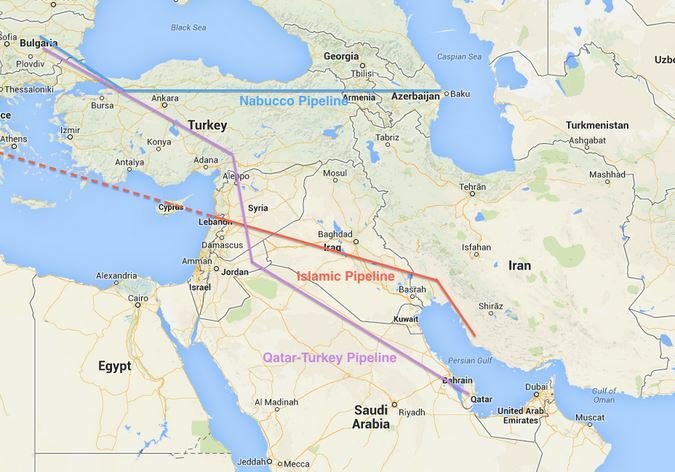 These pipelines are the real cause of the current war in Iraq and Syria. Muslims are divided in Sunis and Shias. 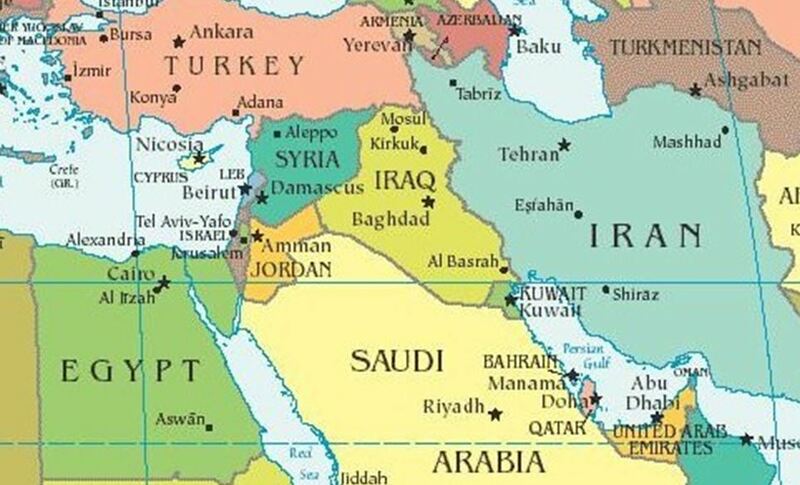 And the Shias want to transfer the natural gas through the route Iran-Iraq-Syria-Lebanon-Mediterranean Sea- Europe and the Sunis through the route Qatar-Saudi Arabia-Jordan-Syria-Turkey-Europe. You can see both the Suni (purple color) and Shia (red color) pipelines at the following map. Sunis and Shias are currently fighting in Syria and Iraq. As you can see on map 9, if Sunis take Syria and Iraq, (where the majority consists of Shias) Shias cannot go ahead with their pipeline. The only other route to reach Europe would be through Turkey. 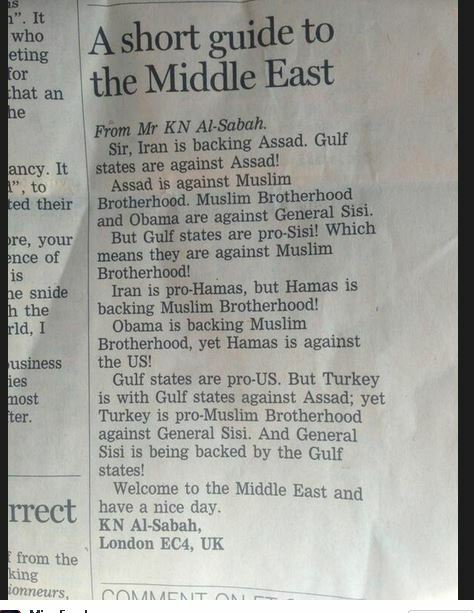 But Turkey is on the Suni side. Similarly, if Shias control Syria and Iraq, Sunis cannot construct a pipeline that conects Qatar to Turkey. The problem for Israel is that Americans are supporting the Sunis in this conflict. Americans are very good friends with Qatar, one of the owners of South Pars/ North Dome. The Russians support the Shia pipeline i.e. Iran. Therefore Israel cannot count on the Americans at least for as long as they back their lethal enemies. Because they consider Hamas as a terrorist organization, but it does not seem that this is how Obama feels. On the other hand, Iran is with Russia on this fight, and together they support Assad in Syria. But Iran is also funding Hamas. But it is in direct competition with Qatar on this pipeline fight. But it is Iran’s nuclear program that is the lethal threat to Israelis. And it is the Russians that control the nuclear program of the Iranians. And the Americans do not seem very interested in preventing Iran from developing its nuclear arsenal. As you can see on the fourth paragraph of the following Wikipedia link, it is the Russians that developed the first nuclear factory in Iran. And as you can see on the following Reuters link, the Russians will develop another 8 nuclear reactors in Iran. If you also take into account that Obama is a president who seems to have strong ties with the Muslim world but also with the Muslim Brotherhood, it should not be a big surprise that the Israelis have a Russian soldier as their Minister of Foreign Affairs. You should also have a look at this video about how U.S.A. indirectly helps Hamas. You should also do some research on the relations of the U.S.A. and Qatar, and on the relation of Qatar, Iran and Turkey with Hamas. It will help you understand the current geopolitical situation. you will read about the 11 billion dollar deal between U.S.A. and Qatar. Obama is selling Qatar patriot misiles. And Qatar is funding Hamas. And the primary goal of Hamas is to eliminate Israel. It seems that the 21st century will be a very difficult one for Israel. Pingback: Israel and Conspiracy Theories | i.a. Pingback: The Socialist Anti-Semitic Myth of the Creation of Money out of Thin Air | i.a. Pingback: The Socialist Myth of Economic Bubbles | i.a. Pingback: The Socialist Myth of the Greedy Banker and the Creation of Money | i.a. Pingback: The Socialist Myth of Economic Monopoly | i.a. Pingback: Bank Recapitalization | i.a. Again I refer you to the incident in the UN council when Russian Foreign minister told the Qatari Envoy that they can “erase” their country and that there are some small countries who are not aware of their true size. American-Russian conflict is for granted, I am not sure about the Qatari Iranian conflict although your post makes a valid point but do not underestimate Qatar’s ambitious plans. They have already invested heavily in Europe and did massive purchases in France, and Britain and now it seems they have their eyes set on troubled Spain not to mention that they have a special fund allocated for investments in Europe. They are rich in natural gas, Europe wants Gas, Russia wants to be the sole supplier or the major one to say for Europe so the tension between those 2 is there. Factor Iran in like you mention and you get a whole new mess! Pingback: The Battle for Caspian Oil During World Wars | i.a. Pingback: The Causes Behind the Conflict Between Turkey and Israel | i.a. I Just wanted to make you know that Syria is not a chia muslim country, the sunni muslims are 75% of the population. There are several old christian Churches, some chias (7%), etc. The President’s al-Assad religion is “alawita” (11% if the population located at the coast of the east north). Alawita are not really a very recognized muslim branch, they mix christianity, hinduism, islam, and as muslims they say they don’t need to pray, make pilriange, etc. To say the truth, these alawitas from Siria come from the ismaili-alawi.nizar that helped the crussaders at the begining of the 11th century: the assasins. They killed the emir that was eager to combat christians. I would say that actual alawitas are near to nothing, in religious terms. So, they links with Iran are not so strongs from a religious level. What Iran likes from Assad is that not allowing Israel jets to pass by they own air space, makes more difficult to Israel to send an air strike succesfull enougth to reach Iran. The other thing is that Siria allow to pass by his territory the guns that Iran send to Hezbolah in Lebanon. 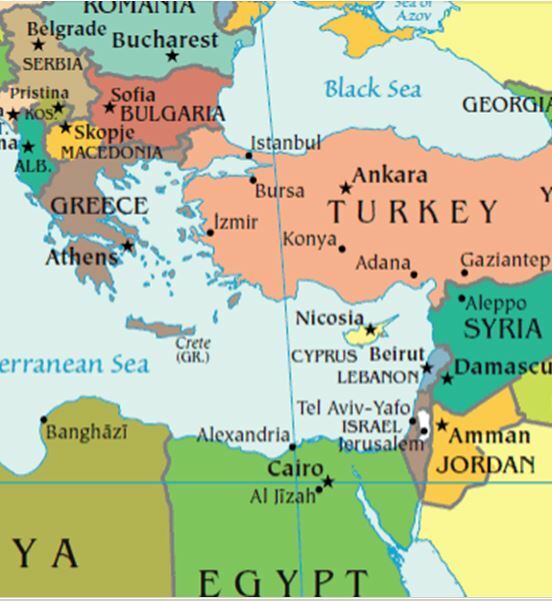 For Siria is not a big deal, as allied with the URRSS from the 70’s, she never was an oficial alley of Israel, althought Siria never tried to put Israel in troubles, as trying to get back the Golan, invaded by Israel. Very peaceful last 40 year for Israel, thanks to the Assad family, except for sending iranian guns to Hezbolah. What I don’t understand is what was the reason of the hatred of Israel against Assad we have red so much on the media last 2 years, as the new special relationship of Israel with Russia will make Assad a wonderfull alley of Israel. Do I say that Syria is a Shia country? I do not remember. I wrote this some time ago. It is definitely a Sunni country. If you read my essays “USA, Russia and China in the Middle East”, and “Russia VS Turkey : The Geopolitics of the South and Turk Stream Pipelines”, I believe you will agree that I am more to the point. This is one of my first essays on geopolitics and it is full of mistakes. Thank you very much for your nice comment. Thanks for your answer, it was just a rookie mistake, happy to know it’s already fixed. Your essays are very good.